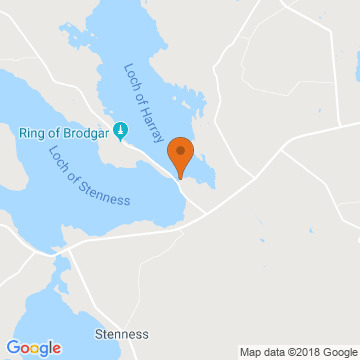 Spectacularly situated in the centre of the UNESCO World Heritage Site, the Heart of Neolithic Orkney, where the Stenness Loch and Harray Loch meet, perfect for fishing enthusiasts with own fully equipped rod room. 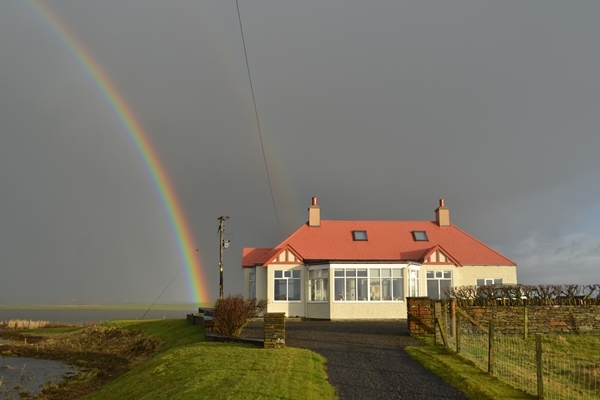 Odin is of historical interest, built in 1936 by Captain Cooper, a retired master mariner who wanted to see water from each room in the house. The house was constructed using wood from the Cunard liner RMS Mauretania. 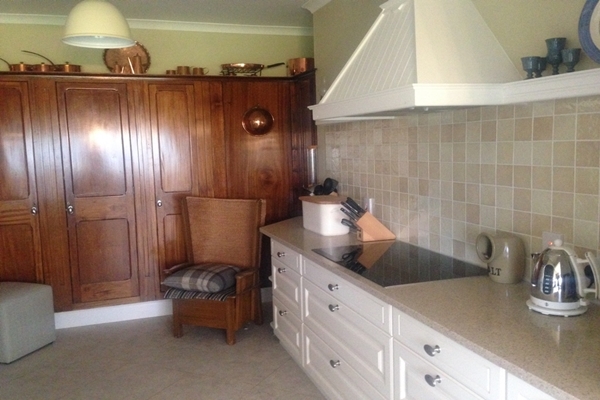 Some of the original fittings are still evident in the kitchen, hallway, stairs and wooden seat in the front porch. 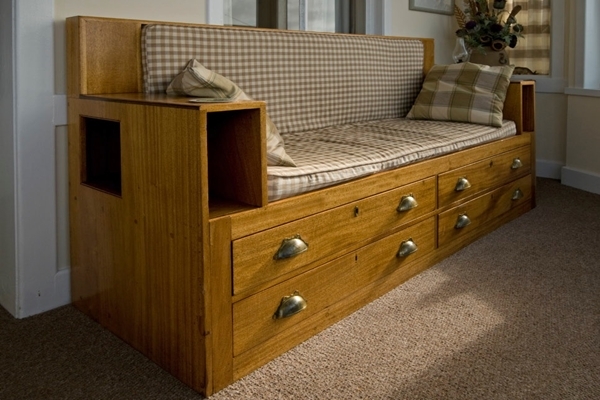 The house can sleep up to six guests making it the perfect accommodation for families or groups of friends. It is comprised of four spacious bedrooms all with modern ensuite facilities with the main bathroom featuring a shower over bath. 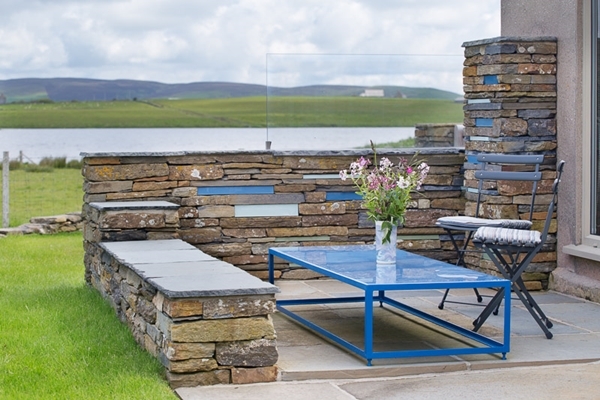 After a busy day of fishing or exploring the historic sites that Orkney has to offer, sit back and enjoy a summer evening in the large south facing sun porch and take in the memorable sunsets, while also overlooking both Lochs, the Watchstone and the Standing Stones. 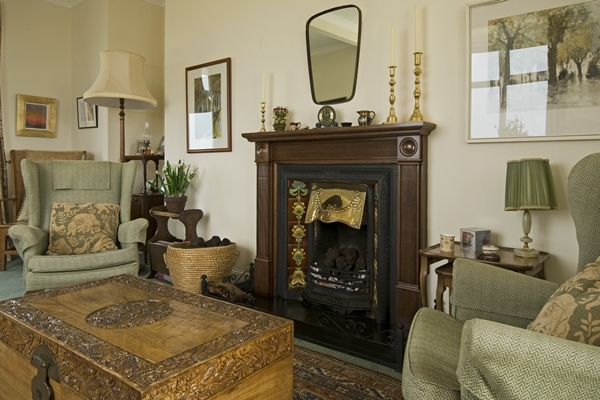 Alternatively you may wish to relax in the sitting room and be kept cosy by the peat burning fire. The spacious kitchen with its large adjoining dining room, which can comfortably seat eight guests is perfect for evening dining with a glass of wine during your stay. 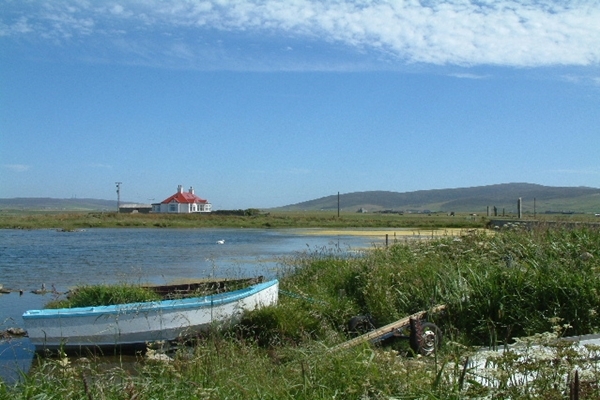 Odin welcomes fishing enthusiasts with its fully equipped rod room featuring a large Belfast sink, fridge, scales, rod racks, wader hanging racks, drying facilities, large barbeque and toilet. 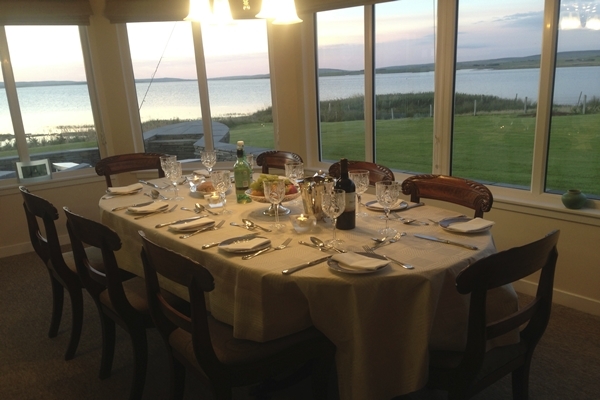 The adjoining summerhouse has tea and coffee making facilities and a table capable of seating up to ten people should you wish to share your catch in a relaxed atmosphere. A ghillie can be arranged. 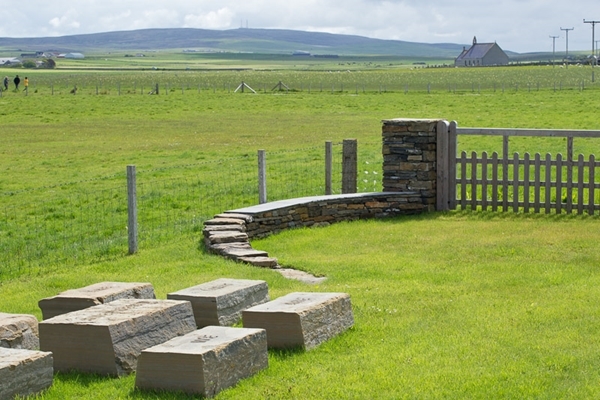 Guests are encouraged to enjoy the garden area which has been simplified, in the last few years, so that it both reflects and contributes to the encompassing landscape with its nearby archaeological remains. 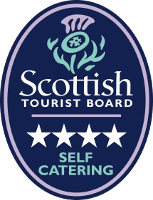 The garden has also featured in an article in the Scotsman newspaper. 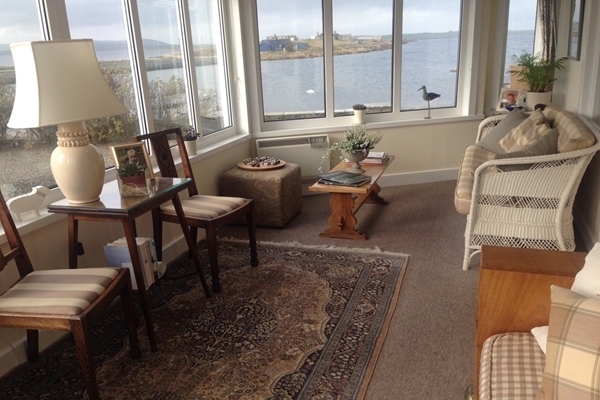 The house is also a luxury bird hide where a large variety of birds can be seen from each window. 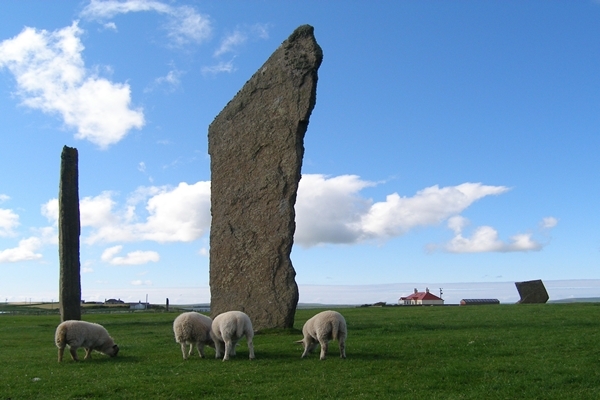 Odin is the perfect base for visitors wanting to experience the Neolithic sites as the Watch Stone, Standing Stones of Stenness and Barnhouse Neolithic Village are beside Odin. 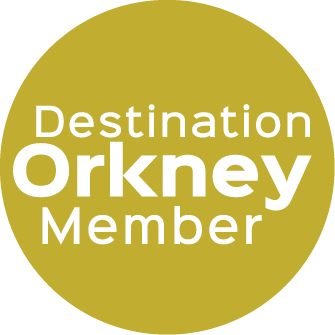 The internationally acclaimed Ness of Brodgar and Ring of Brodgar are just up the road and Maeshowe is within one mile of Odin. 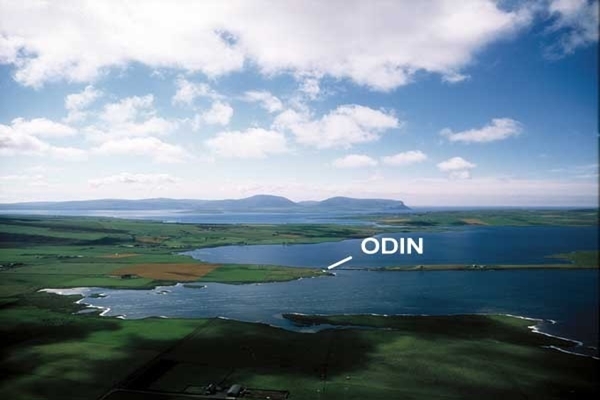 Odin is perfect for holidays all year round as in winter we have seen wonderful displays of the Northern Lights. We cannot guarantee this amazing phenomenon but we can provide local information relating to the likelihood of seeing the lights. 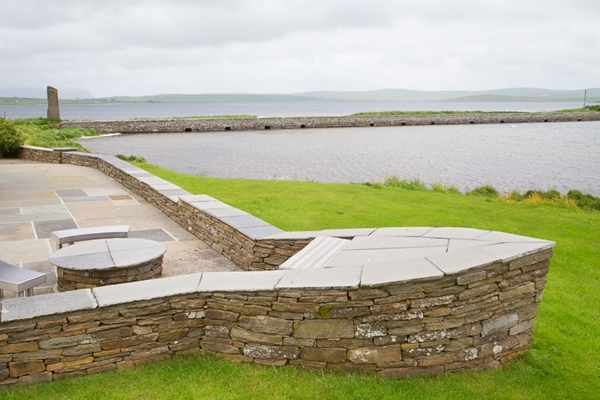 At the Winter Solstice when viewed from the Watchstone, the sun disappears behind the top of the Ward Hill of Hoy for several minutes, and then reappears momentarily at the bottom of the north flank of the hill. We have seen this several times at Odin and is a magical experience. We welcome you to make yourself at home at Odin and experience all it has to offer for yourself.